If you're planning to attend the Dusseldorf Boat Show here's a selection of outstanding powerboats to make sure you see. I blogged about this new boat back in November and I make no apology for drawing attention to it again. 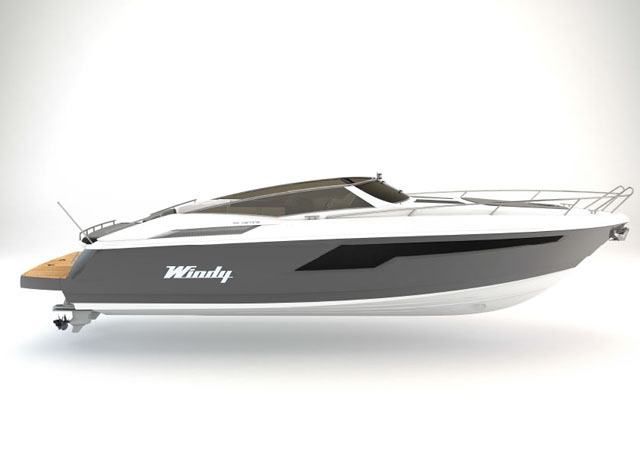 The Windy Coho 29 - a replacement for the 28 Ghibli and everything you would want from a new Windy sports cruiser. 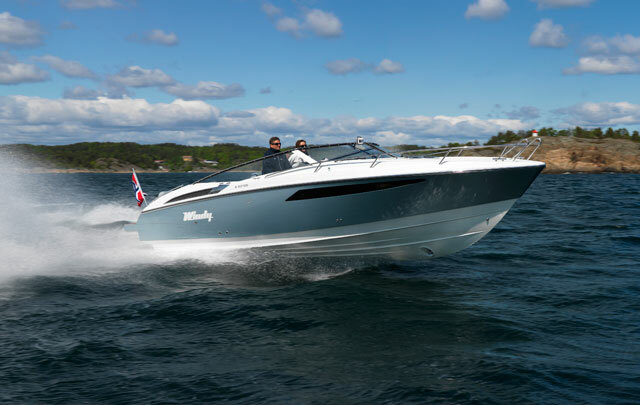 Having been nominated for the 2014 title of European Powerboat of the Year (EPOTY), this overtly sporting 45-knot weekender appears to be everything you would want from Windy – fast, aggressive, soft-riding, well behaved in a rough sea, great to look at and equipped with a cabin/cockpit combination that allows you to enjoy your destination almost as much as your journey. As the replacement for the long-running and well regarded 28 Ghibli, it also incorporates some useful new features, including an extended hull and bathing platform, a new cockpit layout and engine options from Volvo Penta which range from twin D3 220s to a single 400hp D6 or a 380hp V8. The new 405 is set to become the largest of Nimbus’s award-winning Coupé series. Nimbus 405 Coupe: Advances the award-winning concept of the 335 and the 365 Coupe with a series of improvements. Making its world debut in Dusseldorf, the new boat’s deck layout uses the same concept as the 335 and the 365 Coupé (awarded 2012 EPOTY), with an uninhibited walking space on the starboard side all the way from the pulpit to the swim platform. This certainly helps with easy embarkation and an attractively open cockpit, but the new boat also adds some fresh improvements – most notably in terms of a fully glazed aft door, an electrically powered table on the aft deck, improved engine room ventilation and a newly designed galley with ceramic hob. The 405 has three cabins - a main in the bow with private heads access and a pair of side cabins with shared toilet. A starboard door enables the Skipper to manoeuvre the boat while standing on the side deck and a choice of either twin or single Volvo Penta diesels lends additional flexibility to the package. The starkly modern Steeler 46 is apparently designed as a ‘sailing apartment’. Steeler Panorama FlatFloor 46: An impressive bit of design, this floating appartment has a roof over all the open lower deck areas and an unbroken all around view from the main deck. To that end, a completely level main deck enables an unbroken all-round view of the water. This flybridge-equipped boat is also designed so you can communicate more freely with passengers down below – and yet the fact that the all-over roof matches the dimensions of the yacht itself means that, despite the openness, there is always somewhere to shelter from the elements. The dome-shaped glass wheelhouse uses an electrically operated cabriolet section that lifts at the touch of a button and the huge 22-square-metre aft deck offers plenty of space for a lounge sofa and a pair of sun beds. 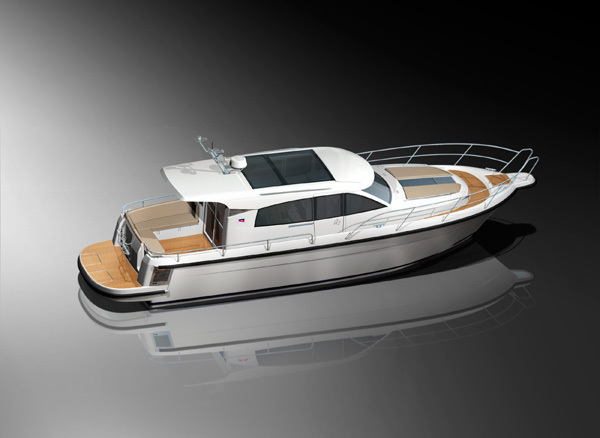 With long, unbroken lines, a steep bow, cleanly integrated gangways, straight bulkheads and a proliferation of glass, the new Steeler is a very impressive looking piece of design. It’s always a treat to witness an ingenious curio at a boat show, but if that curio happens to have the reassuring bedrock of critical acclaim behind it, then it becomes all the more attractive. Garcia GT54: A remarkably efficient ocean-crossing vessel capable of 10 knots at a rate of fuel consumption less than eight litres per hour. Having won the EPOTY Award in 2013, the GT54 is a serious (and seriously interesting) oceanic distance-maker. The aim of designer, Jean-Louis Garcia (founder of Garcia Yachting) was apparently to generate a substantial 30-tonne boat that could transport its own bulk at 10 knots with fuel consumption of less than eight litres per hour. It’s a hell of a challenge but with the aluminium-built GT54, this well established builder of passage-making open water craft claims to have achieved exactly that. Expect a range of around 4,000 nautical miles, with remarkable levels of efficiency and the reassuring safety net of redundancy built into every vital system. 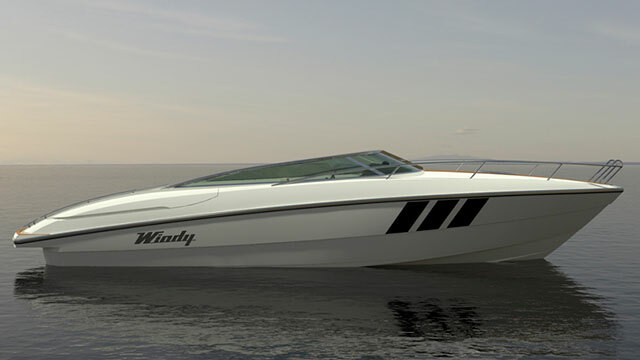 This beamy 30-footer is the new entry-level craft in the Elan Motoryacht fleet. 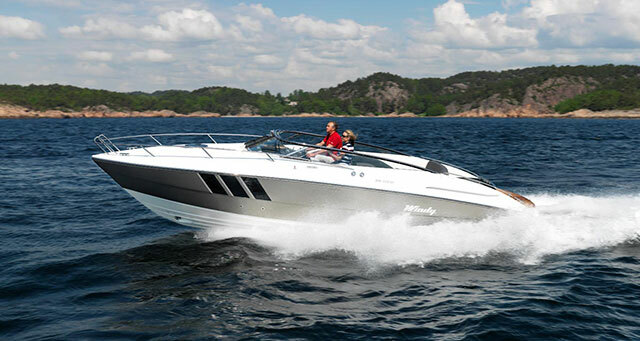 Elan Power 30: Tony Castro-designed hard top family sports cruiser capable of 37 knots from twin Volvo Penta D3-220s. 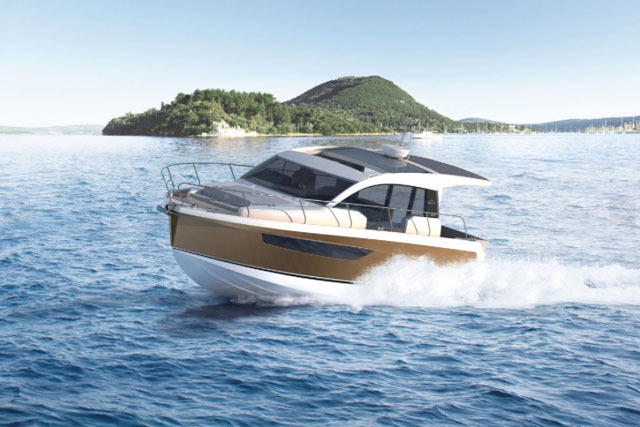 Having already been nominated for the EPOTY award, the Motorboat of the Year award and the Croatian Boat of the Year award, it follows the same direction laid down by its larger siblings, the 35, 42 and 48. 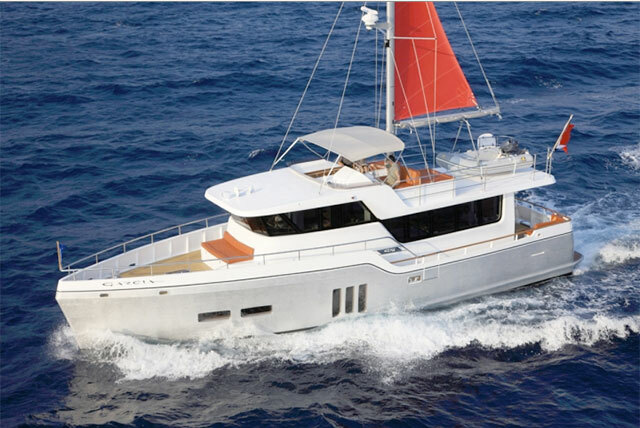 This Tony Castro-designed hard top family sports cruiser uses a central structure with symmetrical wraparound walkways and a zigzag internal configuration comprising a large cockpit with port galley and starboard lounge, plus a below decks area with two cabins, a central saloon and a shared heads compartment. In addition to generous sunbathing space, one particularly unusual feature is the chart table to starboard of the helmsman position. Whether you like that idea or not, a classy matt oak interior, standing headroom throughout and a very decent 37 knots from twin Volvo Penta D3-220s make this a very complete looking package. Anyone who has owned a Boston Whaler tends to talk about it with unrelenting enthusiasm so the launch of a new model is always a reason to get excited. Here, hot on the heels of the flagship 370 Outrage comes the (slightly) smaller 350. This offshore fishing and cruising platform is designed to satisfy both serious anglers and leisure boaters with multi-purpose zones all over the boat. The bow area, for example, is open and deep enough for fishing, but it also comes with convertible seating for sunbathing or communal dining. 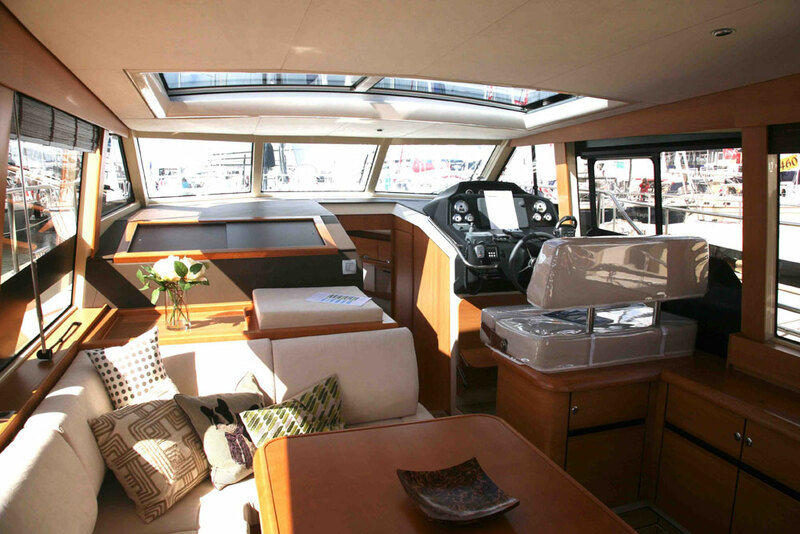 Similarly, further aft, behind the three-man console (with its internal heads compartment), the stern bench can be folded away, making the most of the broad aft deck. There is also storage everywhere you look, plus plenty of clever, user-friendly design features and predictably heavyweight build. 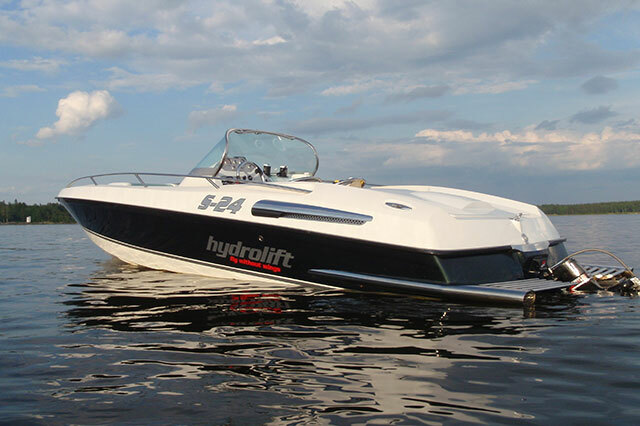 Of course, it carries the same price premium as the rest of the range, but if money is not a problem, then why not take advantage of the new boat’s sporting credentials with a triple rig of 350hp outboards. Sounds good to us. New boats? They all owe a debt – big or small – to the classics: Five Classic Power Boats: Triana, Broom, Riva, Fairey, Albatross; World’s Fastest Powerboats: 5 Famous Record Breakers. To find out more about the show or to book your tickets, visit www.boat-dusseldorf.com.